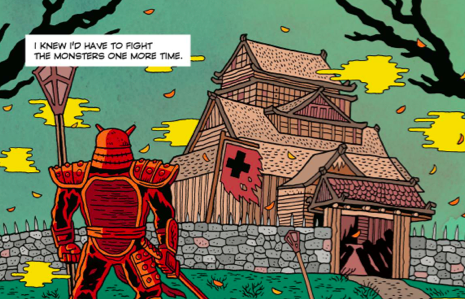 Samurai Slasher is a comic by Mike Garley based on an imaginary 80 horrors film. You know the genre, though, college students turn up at the lake for some skinny dipping and smoking weed only to encounter an immortal samurai determined to slaughter them all. Late Fees is very different. This comic, limited to a 666 copy print run, mixes slice of life with that 80s horror. Slasher of life? This comic has a completely different perspective. It is told from in the first person by a kid who’s dad lets him watch the Samurai Slasher film on the strict promise not to tell mum. A healthy father-son relationship? As it turns out the father has some issues of his own and the lad grows up using the image of the slasher as his coping mechanism. 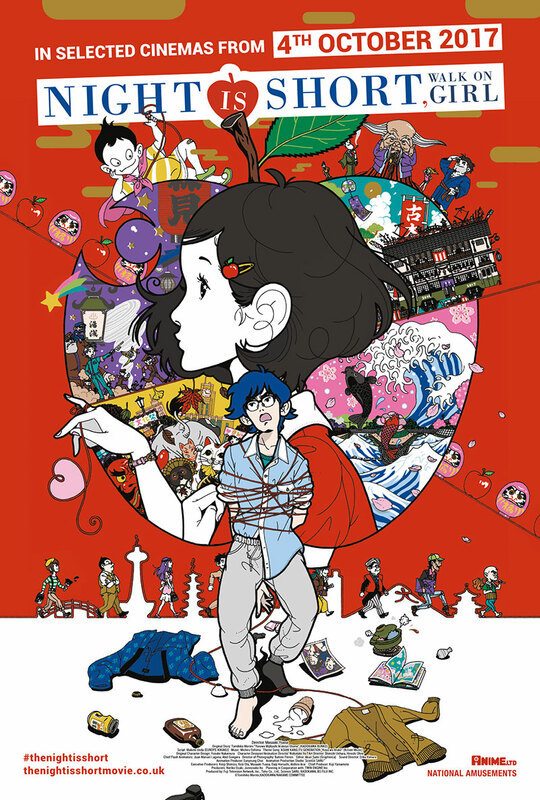 Drama and troubles become metaphorical battles where the Samurai Slasher isn’t just the good guy, he’s the armour the kid wears, and battles against all sorts of demons. It’s an interesting approach to storytelling. 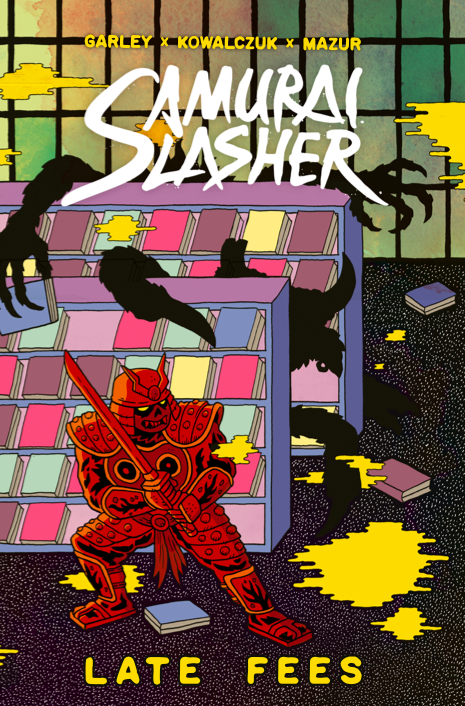 It’s worth saying that you don’t need to have read any of the original Samurai Slasher series to enjoy Late Fees. I hadn’t. I went back to read some after enjoying Late Fees and it’s a turnabout to encounter the Samurai back in the role of atypical 80 horror movie baddie. 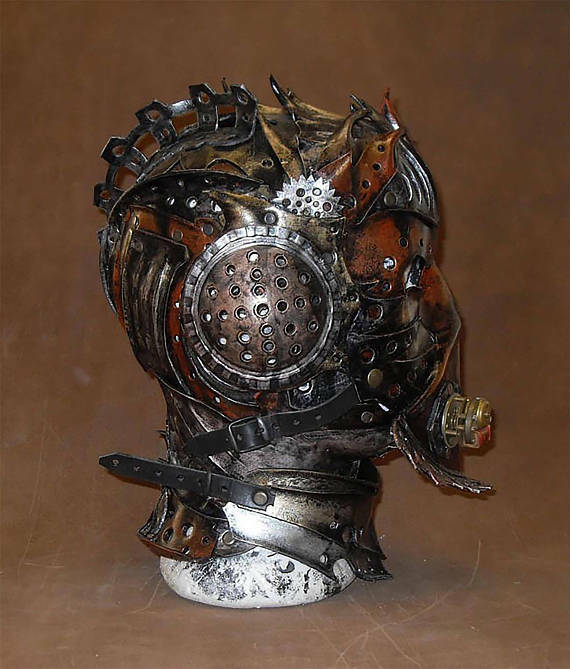 The artist on this project is Lukasz Kowalczuk. That’s a name I keep on seeing peppered around those few comic forums I visit. The illustrations in Late Fees certainly live up to any expectations. There’s a bold mix of dark and light in Late Fees. Monsters are often surreal colour forms that feel appropriate as representations of dramas and hardships. The samurai is a blend of shadow and blood. Whirls of colour might threaten the careful balance of life vs fiction in Late Fees but Kowalczuk nails it and his mixing helps solidify the story. I recommend getting hold of one of the limited editions of Late Fees. If it’s not too late. Got one already? Keep it safe. My PDF copy of Late Fees was provided for review.